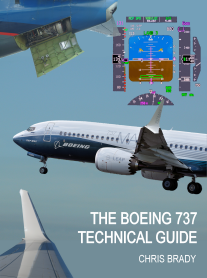 The following photos show the main wheel-well looking starboard on each of the three generations of 737. 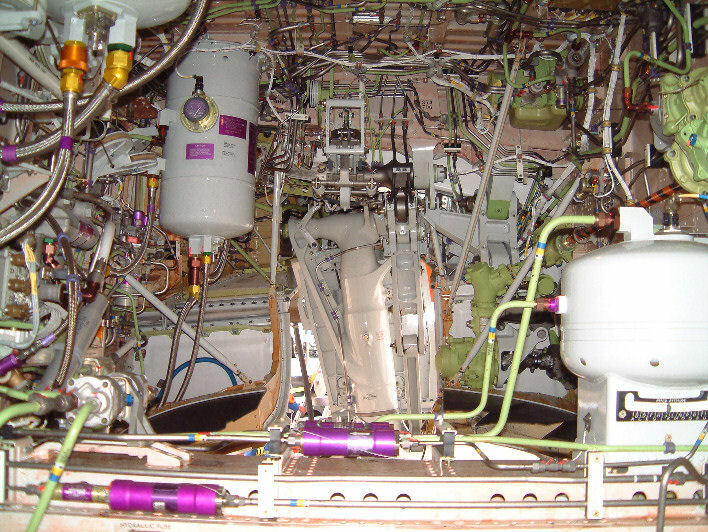 This photo shows the wheel well of a 1969 vintage 737-200. 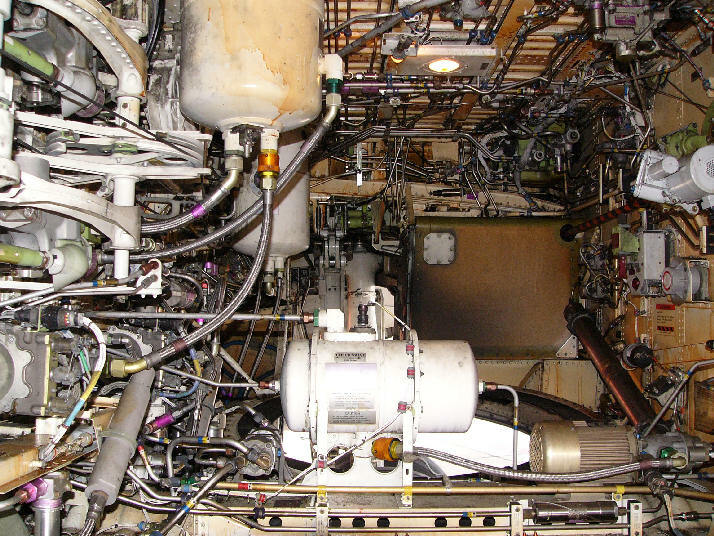 The majority of components and locations are unchanged to the NG series in production today. The screens on the forward wall are to protect vital components from gravel damage thrown up by the tyres as this aircraft was delivered with the unpaved strip kit. At first glance the wheel-well of the classic appears the same as original 737's. Some differences are the larger hydraulic reservoirs and the standby reservoir is now in the centre of the keel beam. The is now a single, larger brake accumulator. The standby hydraulic reservoir has now changed shape and moved further aft to the aft wall. 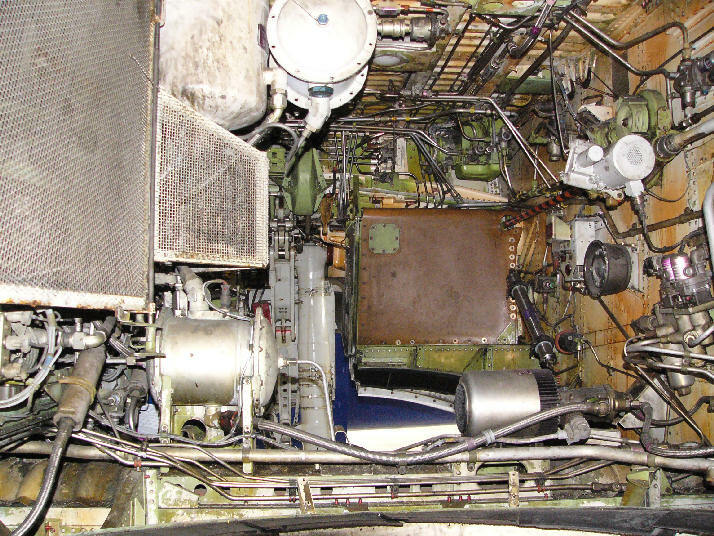 The standby hydraulic pump is now under an access panel aft of the RH wheel-well. The main landing gear is inclined slightly backwards.